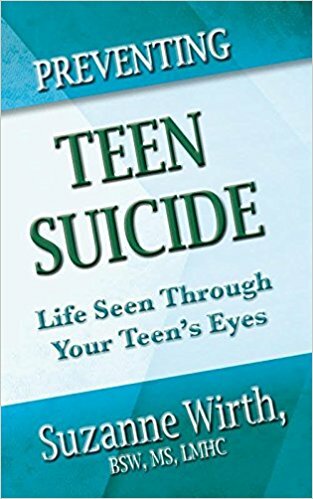 Suzanne Wirth is an adolescent specialist has also published her first book “Preventing Teen Suicide: Life Seen Through Your Teens Eyes.” This is a guide which helps parents navigate the awesome tasks of raising a teenager by explaining their thought processes. Parental advice is offered for the different circumstances of their teens life. Available for purchase directly through The Safe Place for Family Counseling, Amazon.com & Barnesandnoble.com. Sometimes it’s hard to know if you are being abused. We know that something is not right in our relationship but is it abuse? HAVE YOU EVER EXPERIENCED INTENSE FEAR WITH NO REAL REASON? ARE YOU OR IS YOUR LOVED ONE AN ALCOHOLIC? Most people think of alcoholism as something that happens to other people, people that they do not know such as those they see on the movies or on TV. Everyone has a story about their past. Some of the stories are sweet and comforting and others are scary and sad. Some people were raised in a single parent household and some by their grandparents. Are you still thinking and feeling about something or someone that you’ve lost? Unresolved losses lurk around in the back of your mind and heart. When I was four years old we moved from the city to the country. When they have passed you feel grief. Grief is the awesome emotion that overwhelms people when their loved one has died. It starts with numbness and shock. LOW SELF ESTEEM – HOW DO YOU SEE YOURSELF? Maresa was in fourth grade and it was a really tough time on her. It was picture day and I had taken her on a special trip to JC Penny’s to get the perfect outfit.